To better take care of patient’s health, it may be necessary to prescribe more than 1 group of medicine. 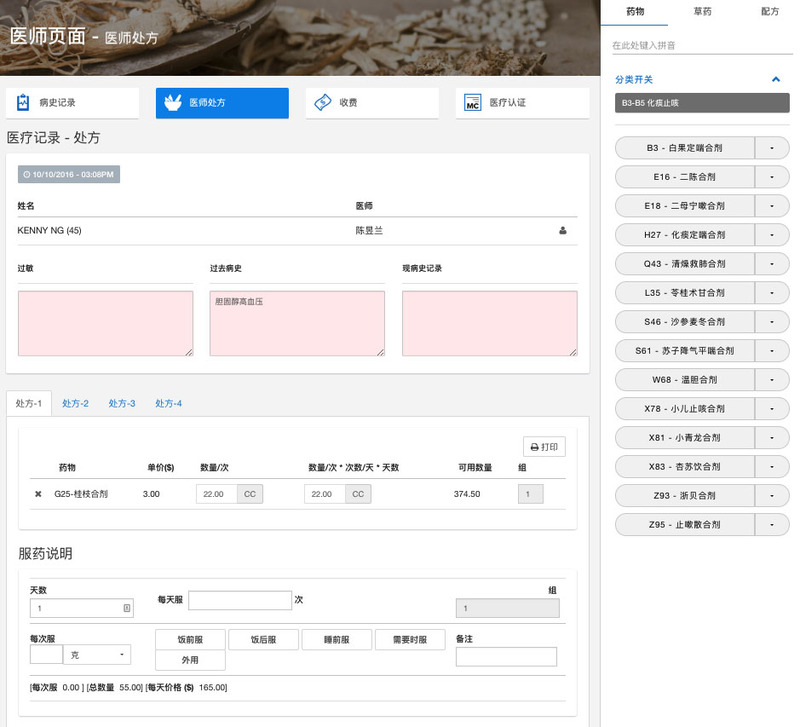 SmartZhongYi now allows doctor to prescribe up to 4 different groups of medicine with different medicine instructions. The groups are separated by tabs for best clarity. The medicine instructions can be printed out individually as medicine package labels too.